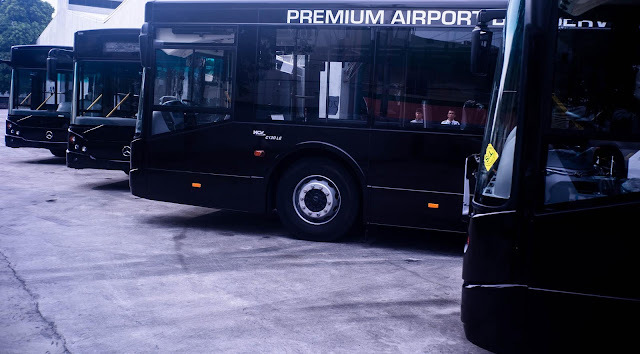 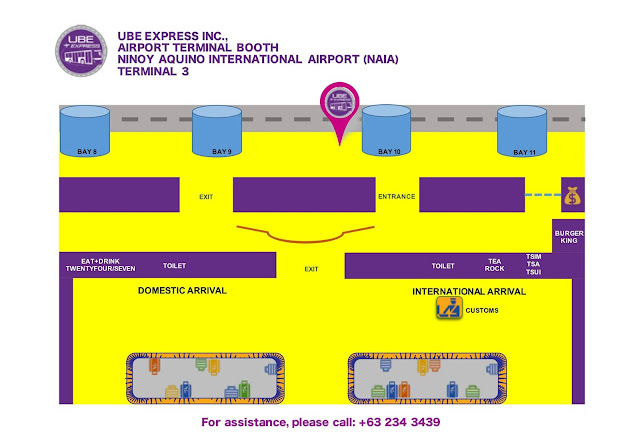 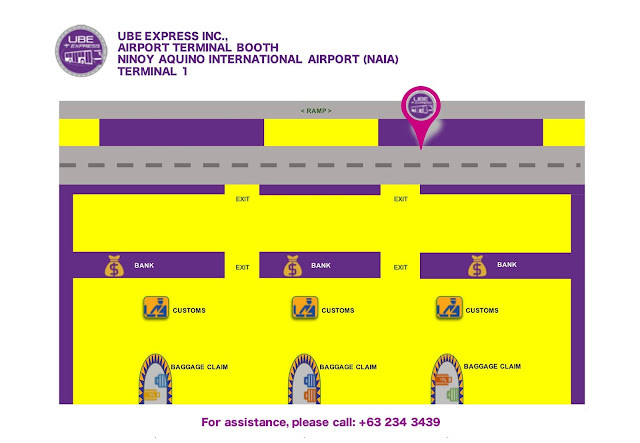 A Premium Airport Bus Service is now available for travelers and passengers going to and from the Ninoy Aquino International Airport (NAIA). Last year, 2016, the government launched 21 brand new Mercedes Benz air-conditioned buses from UBE Express. 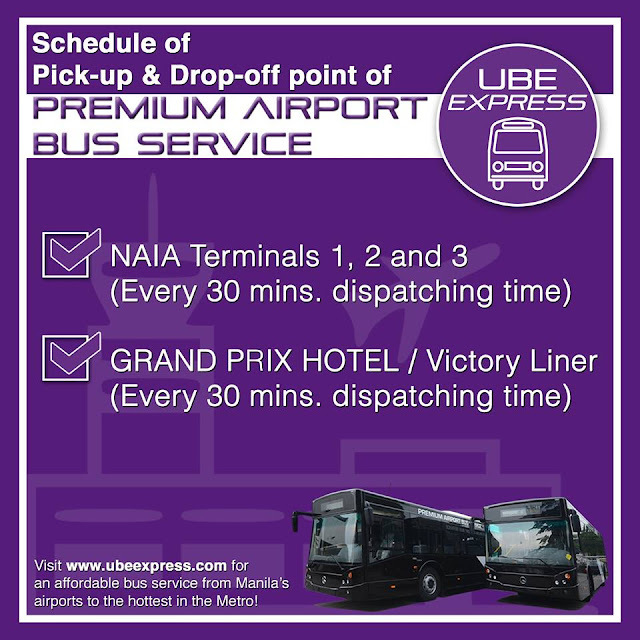 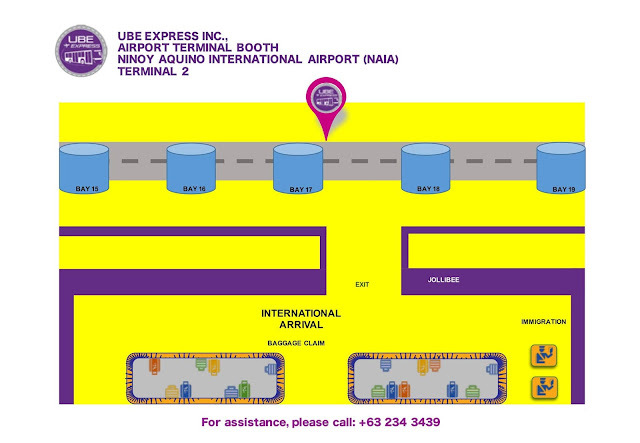 UBE which means Ultimate Bus Experience is a very popular transport mode now for travelers and overseas Filipinos. 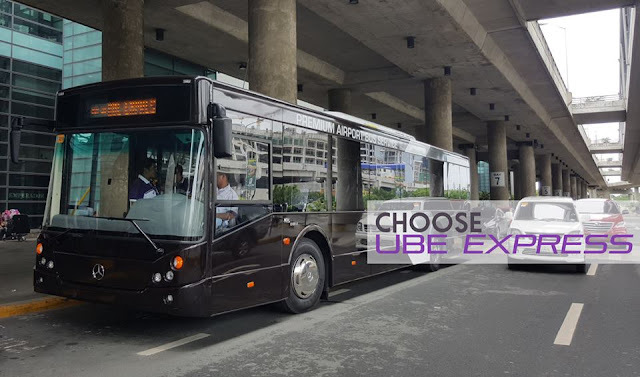 It will pick-up and drop off passengers at designated points with automated fare collection system and an introductory rate of P150 per person. 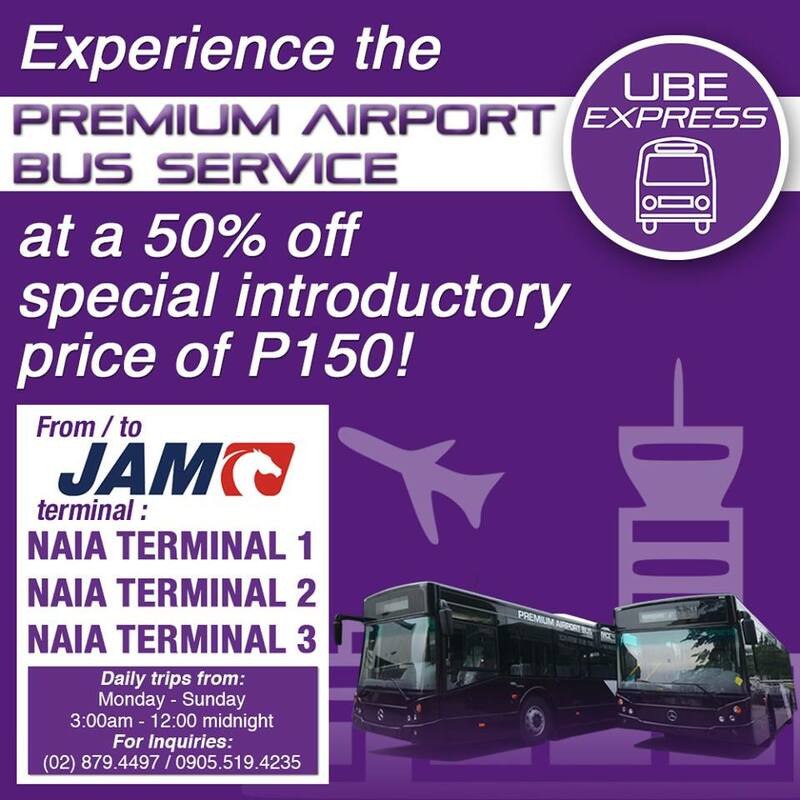 You can get a discount through online booking too. 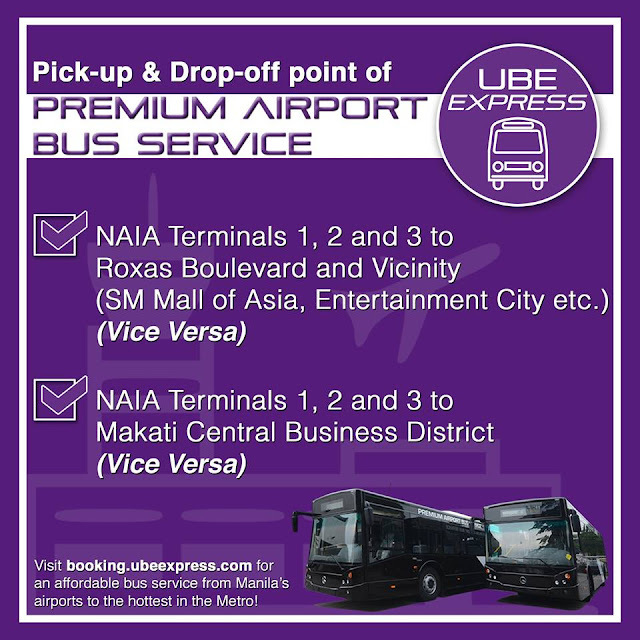 The bus has three routes including Intramuros, Roxas Boulevard, and Makati central business district. 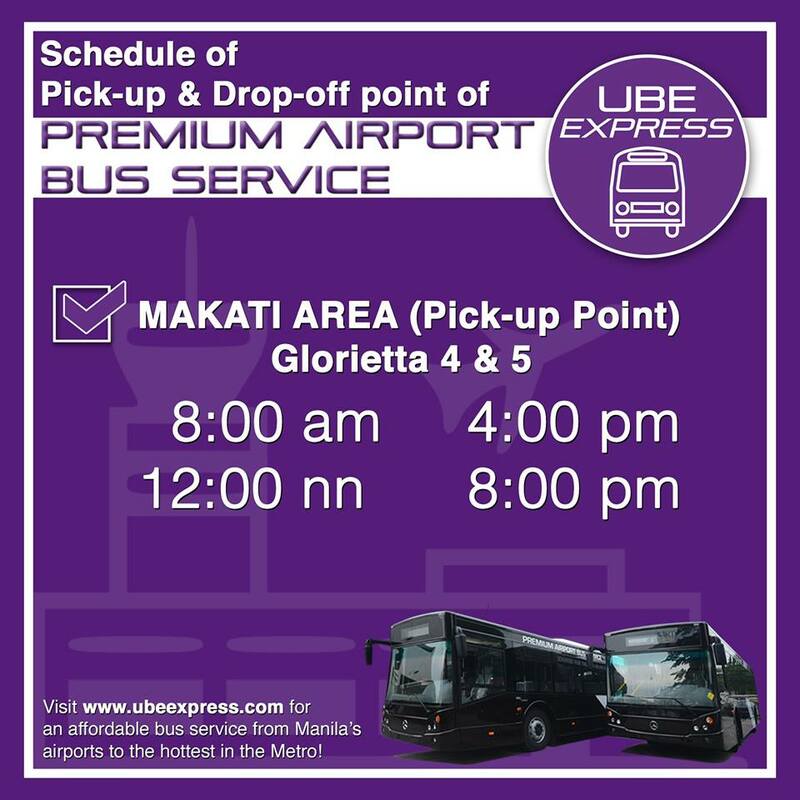 Several routes are added and will be added according to the management. 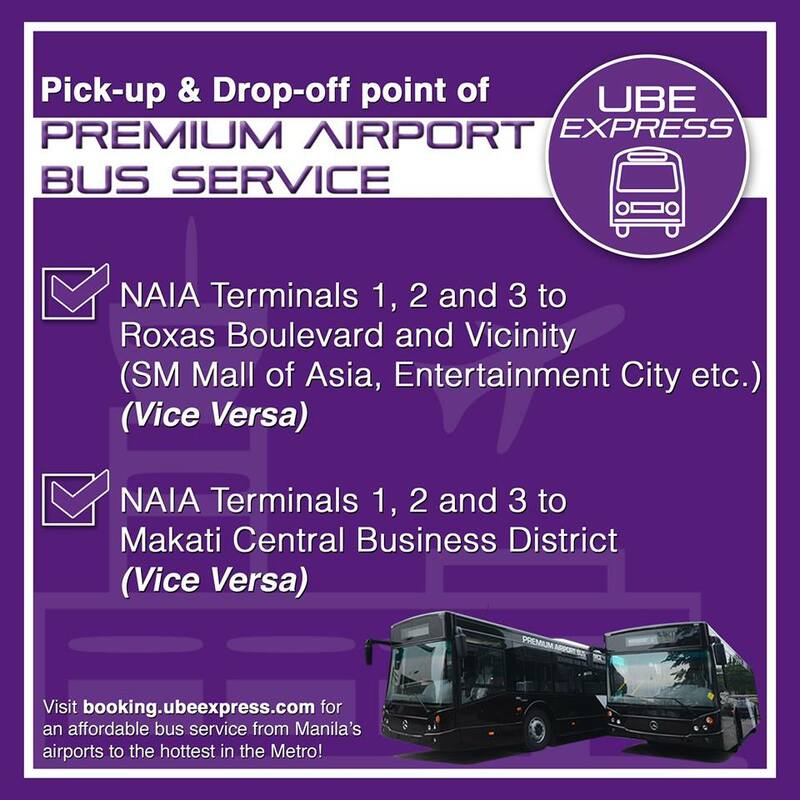 Along Roxas Boulevard, the designated stops are Midas Hotel, Hotel Jen, Manila Hotel, Mall of Asia and Entertainment City. In Makati, the stops are Glorietta 4 and 5 and Ascott Hotel. 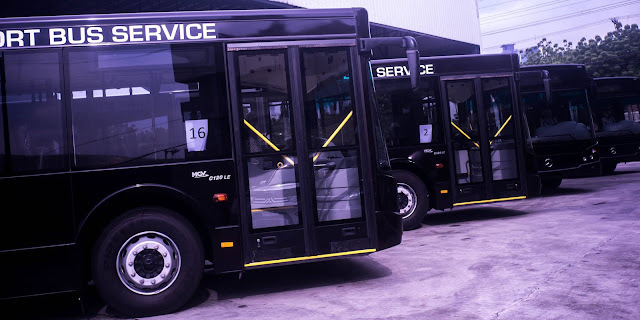 Each bus is equipped with CCTV cameras, global positioning system (GPS) device, Wifi facility, radio communications, speed limiters and sensors and can accommodate up to 24 passengers. 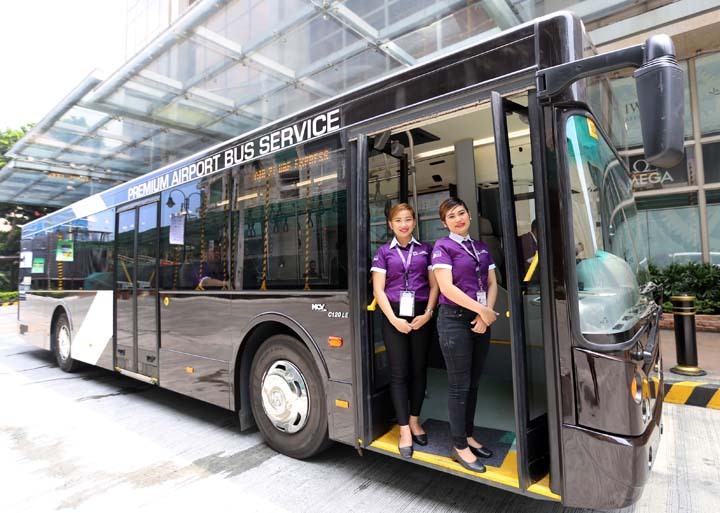 The buses are environmental and PWD friendly mode of transport. It is safe, reliable and budget-friendly transportation for the rising number of passengers from and going to NAIA. 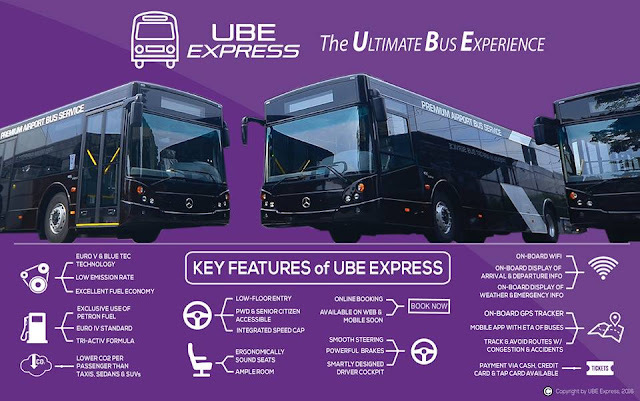 According to Transport Secretary Arthur Tugade, the UBE Express buses brings comfort and security to passengers. 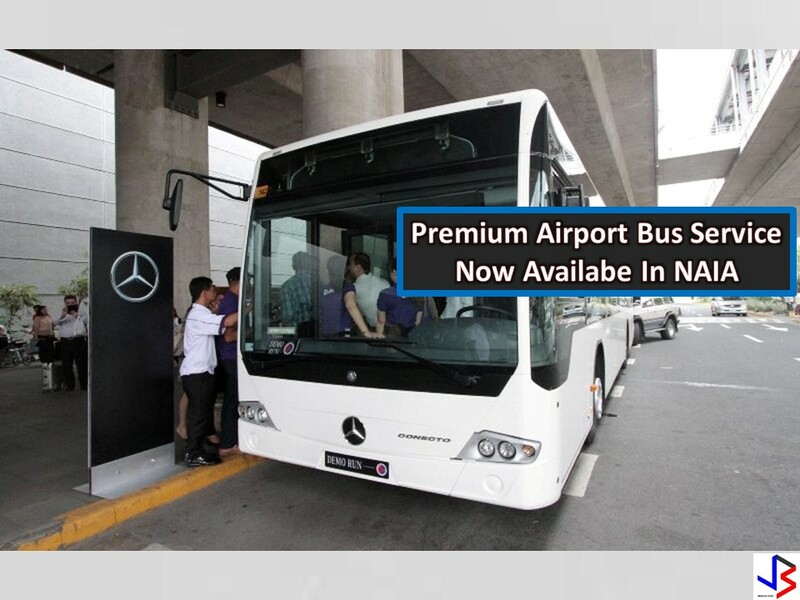 It will encourage also more people to take public transportation and decongest Metro Manila traffic. 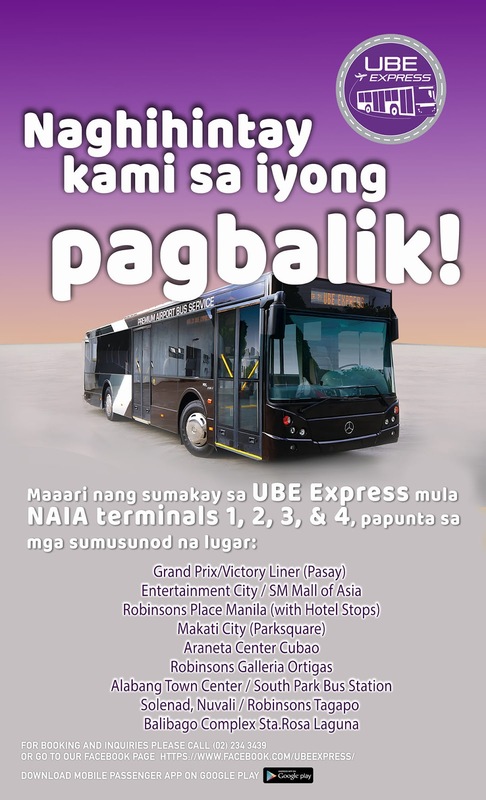 "Imbes nalang na magdadala ka ng sasakyan, punta ka nalang sa estasyon, sumakay ka at, yun na! Makakarating ka na sa paroroonan mo in comfort and in style." 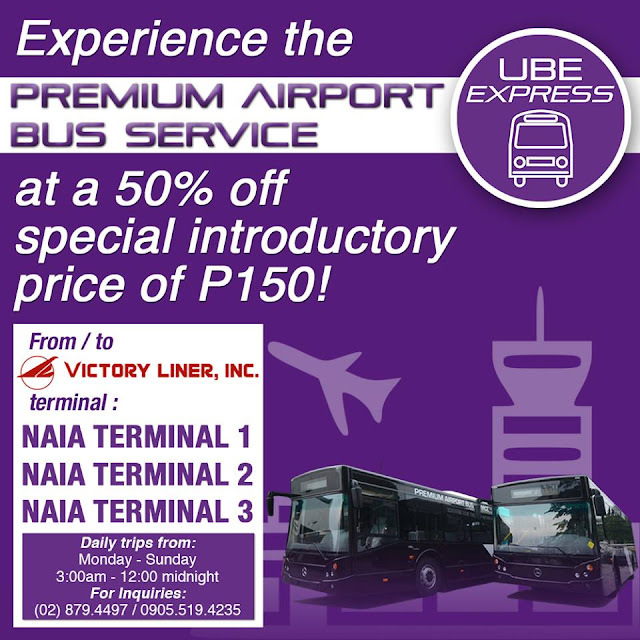 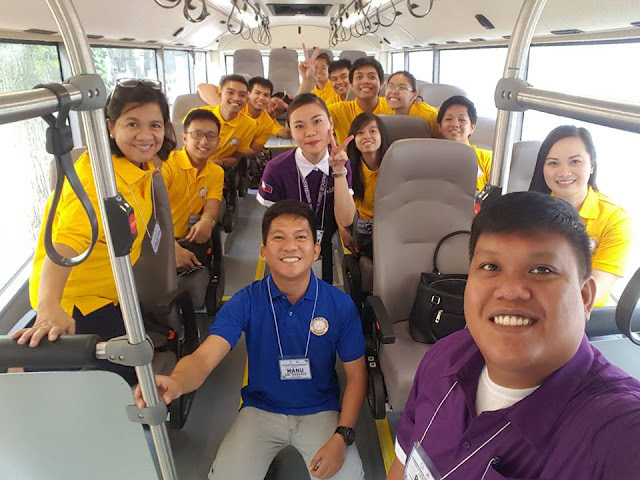 Each UBE Express bus is worth P9.8 million. Another 21 more unit will be delivered this coming months.